Recruit the best talent. Build great teams. Zoho Recruit is both powerful recruiting software and a cutting-edge applicant tracking system that streamlines your hiring process. Source best talent faster, track resumes and interviews efficiently, and never miss on a great hire. As a corporate HR, finding that perfect candidate for a job opening and providing the best candidate experience can make all the difference. Zoho Recruit — Simple. Foolproof. Guided. The current job market is as competitive as ever. For recruiters, this means jumping over a number of hurdles to get the job done. Zoho Recruit's advanced applicant tracking software understands this and has the perfect set of features, mandatory for every recruiting firm. Hire the best for your team. Get the word out about your openings by posting them to job boards and social media, or create your own careers page. No more fear of lost resumes. Juggle your daily tasks efficiently, from parsing resumes from your inbox to tracking applications and updating your spreadsheets. Analytics that lead to strategies. 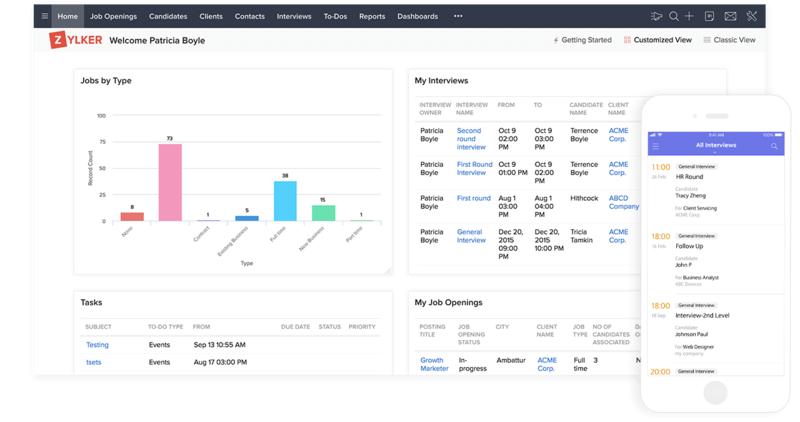 Use reports and advanced analytics to get insights into candidate interview status, job opening status and much more. Zoho Recruit features an array of integrations that help you navigate every step of your recruiting workflow. Customize every aspect of your workday and automate tasks like emails, interview status updates, and more. Keep candidates in the know. 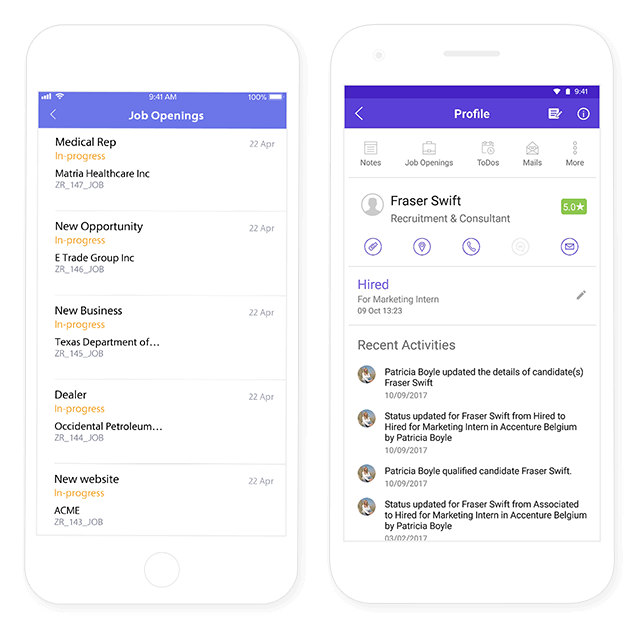 Calls, emails, and text messages help you track every aspect of your team's communication, right from Recruit's database. When recruitment is multidimensional in nature, your recruiting system should also be. Zoho Recruit's applicant tracking software gives you the advantage of seamlessly integrating with several Zoho and third party applications. Now, bring all your recruiting activities on board with Zoho's very own hiring software. 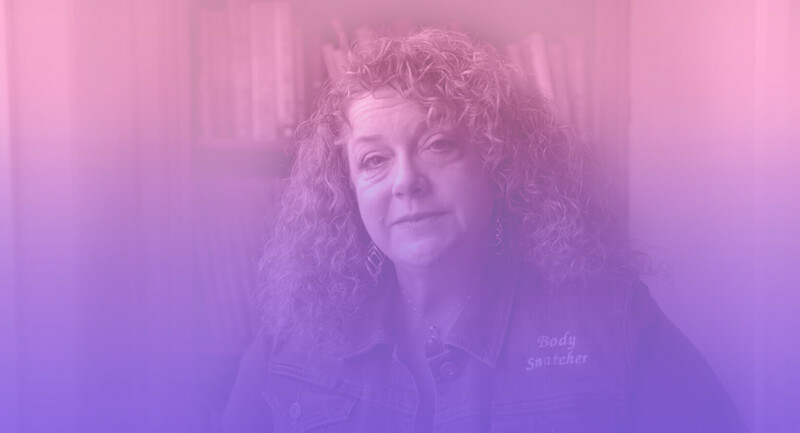 Katari Grassiel MD, Seattle BC Group, Seattle, USA. "One complete solution for recruitment." A complete, easy-to-use applicant tracking software.